I’m always on the lookout for new ways to teach my children. 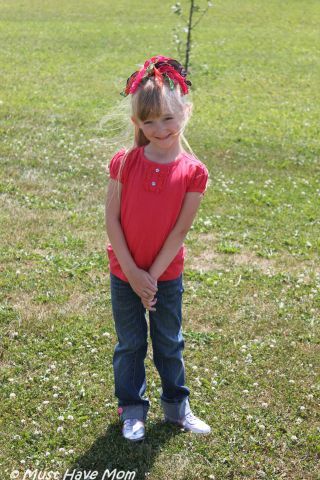 I love hands on activities and Danika has been learning so much at Kindergarten this year. Often she comes home and is tired from her school day and just wants to sit on the couch and watch t.v or play the iPad. I’ve gotten creative and harnessed her interest in technology and turned it into yet another way for her to learn. She loves the Lola’s Math Train app we have on the iPad and from her perspective mom is giving her free game time and she doesn’t even realize she is doing a learning activity. Well, the makers of Lola’s Math Train listened to parents looking for a more challenging game as their kids got older and they are releasing Lola’s Math Train 2 today!! 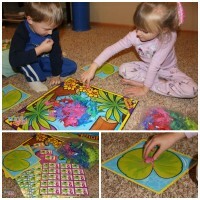 This game is geared towards kids ages 6-8 and provides more challenging games for this age set. The game starts with easier tasks of addition and number sequencing, but gets more challenging when the child’s skills improve. After finishing some math tasks, the player gets to choose an outfit for a costume party. Packed full with nineteen exciting mathematics games with Lola Panda your child won’t become bored quickly. They will learn addition, subtraction, and simple puzzle solving all while playing in a game environment that’s fun and engaging. In the parental section, you can track your child’s progress with Lola Panda™ Progress Tracker. It gives you an overview of which tasks are difficult or easy for your child. I love that I can track which areas come easy to her and which ones we need to work on more. This allows me to offer her opportunities to learn these skills outside of the game and then reinforce them with the game. I can easily see her progress tracked. I love knowing that as she outgrows the Lola’s Math Train app she can move up to this new app, Lola’s Math Train 2! It’s a fantastic way to help her learn her skills in a fun environment. All too often it is difficult to find quality apps that truly teach my kids necessary skills. This is definitely on my list of must have kids apps. You can find Lola’s Math Train 2 for just $1.99 in the iTunes store. You can also find it in Google Play. You can also get a peek at Lola Panda on YouTube! How do you help your child hone their math skills? Captain McFinn Swim & Play App Provides Interaction Like Never Before! Cool New App Allows You To Easily Animate Your Photos & Share Them! Anything that helps them learn more and keep them interested and entertained at the same time is a win win. Thanks for the review, I will have to check this out. That is really a neat idea. My son (18 years ago) had a few hand held games for learning but nothing this cool! 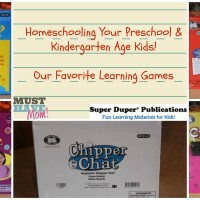 I love game that the kids think are fun but that are really educational so they are learning. I am going to check this one out for my daughter. My kids would love this program. My daughter would absolutely love this game. SHe’s in 1st so this is perfect! I love that it is fun but educational, always a bonus for kids. That looks like a fun way to learn math. I bet my youngest would have fun (and learn) with it. My oldest is starting his math and having a few problems this seems like it would help him in this area for sure! Thanks for sharing. This looks cute and my daughter is working on her math. This would be perfect for my niece and one of my nephews! I’ll share it with them! K loves playing on the iPad, I love when she plays educational games. She is in Kindergarten too, so this would be perfect for too. I have a good reading program, but not a good math one. Need to check this out. I love how this is educational and entertaining at the same time! I like the feedback so you know which areas the kids may need a little more time with. This is a nice app! I struggle w/ 3rd grade math myself…maybe I should do these programs! My kids are always eager to learn new things and their daddy just recently taught them to add with their fingers, this will be a great step up and help them learn a lot before they start school! I love different ways to get my kids to actually enjoy learning. My girls would love this!